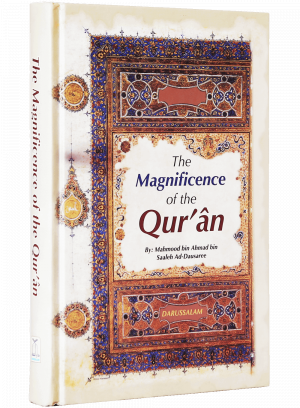 The Magnificence of the Quran is a book that relates to us the countless miracles and benefits of the Holy Book of Islam. 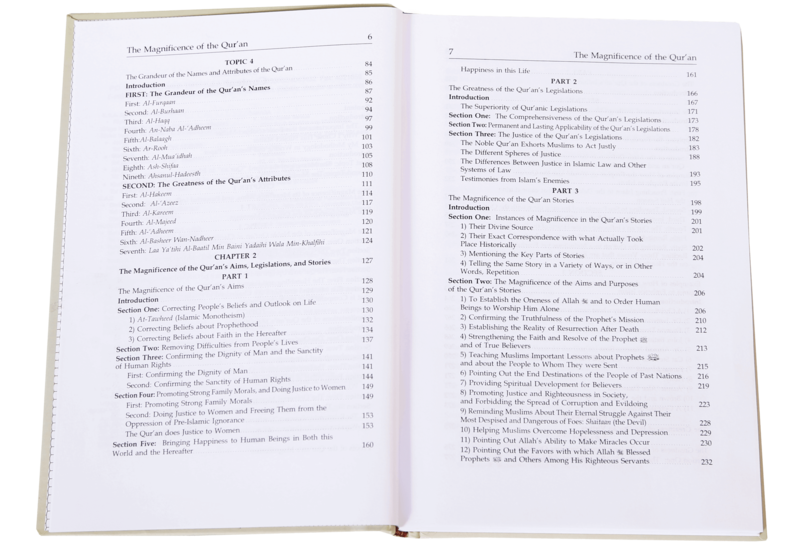 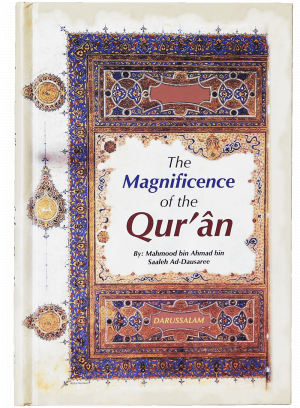 it expands on numerous aspects of the Quran, all of which point to its magnificence, as signified by the apt title. 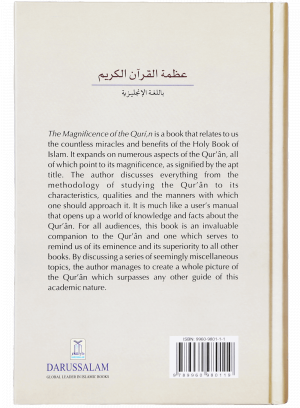 The author discusses everything from the methodology of studying the Quran to its characteristics, qualities, and the manners with which one should approach it. 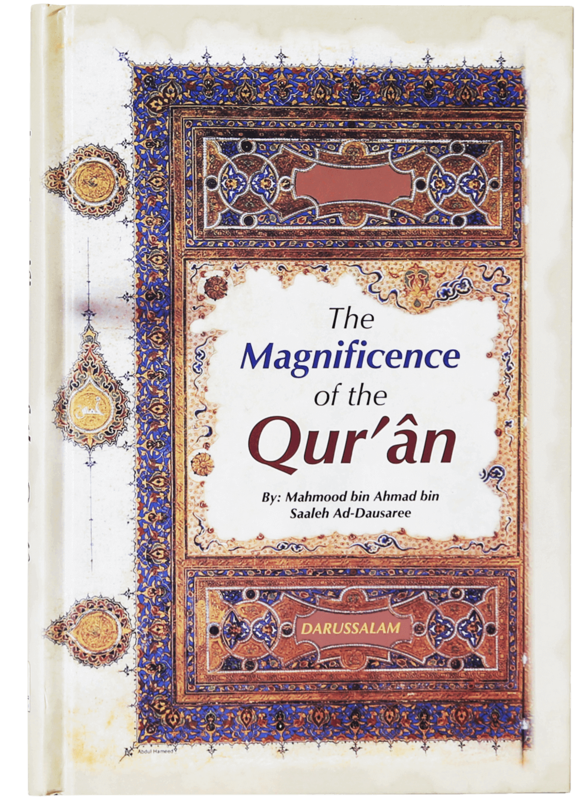 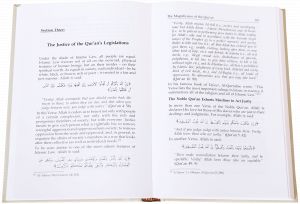 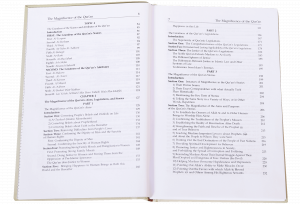 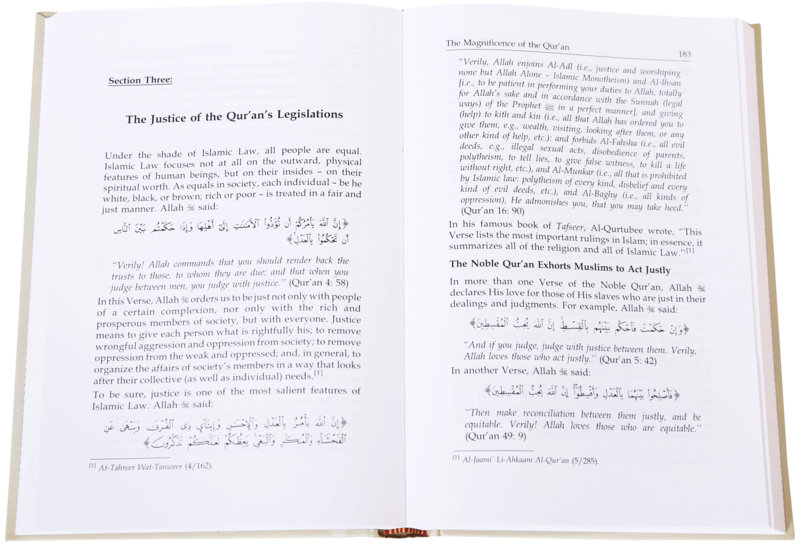 it is much like a user`s manual that opens up a world of knowledge and facts about the Quran. 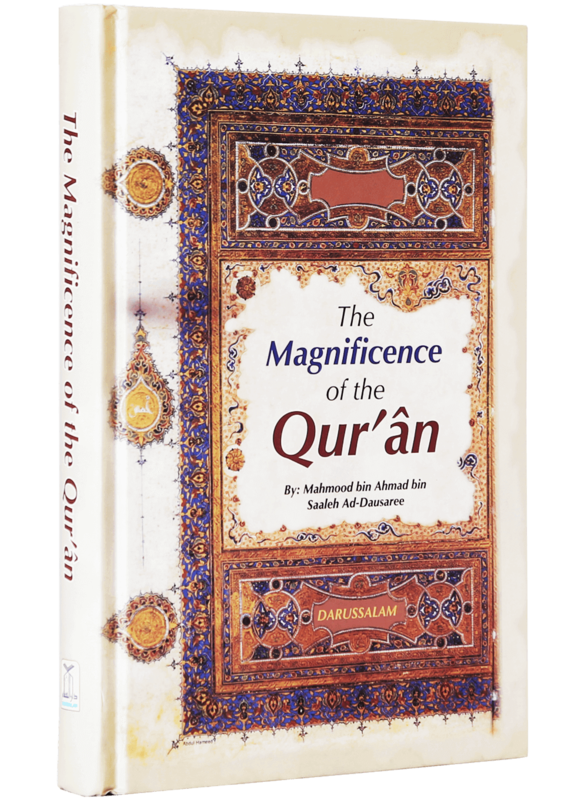 For all audiences, this book is an invaluable companion to the Quran and one which serves to remind us of its eminence and its superiority to all other books. 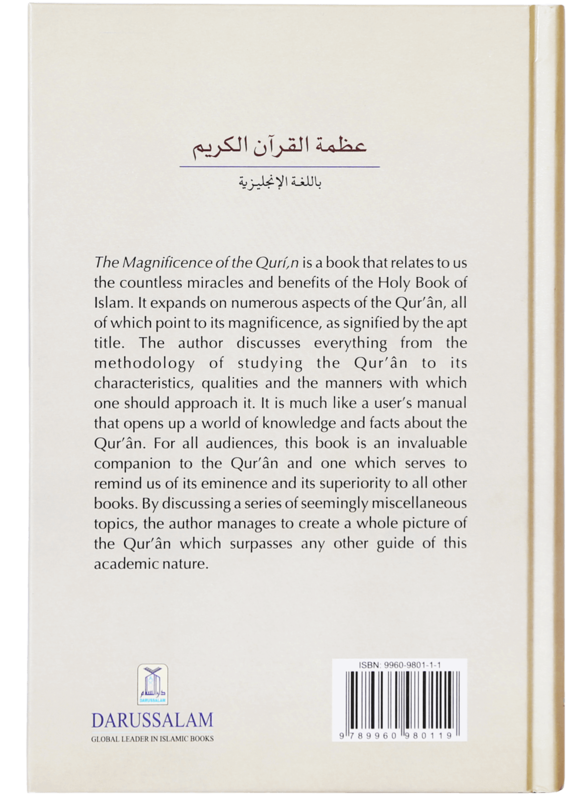 By discussing a series of seemingly miscellaneous topics, the author manages to create a whole picture of the Quran which surpasses any other guide of this academic nature.